Definition at line 60 of file llassetuploadresponders.h. 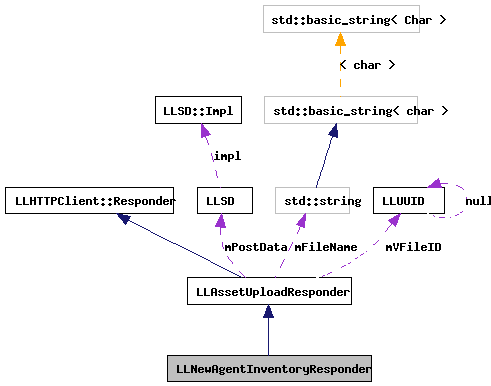 Definition at line 178 of file llassetuploadresponders.cpp. Definition at line 185 of file llassetuploadresponders.cpp. 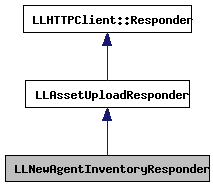 Definition at line 191 of file llassetuploadresponders.cpp. References _PREHASH_AgentData, _PREHASH_AgentID, _PREHASH_MoneyBalanceRequest, _PREHASH_MoneyData, _PREHASH_SessionID, _PREHASH_TransactionID, LLMessageSystem::addUUIDFast(), LLSD::asUUID(), LLAssetType::AT_ANIMATION, LLAssetType::AT_NONE, LLAssetType::AT_SOUND, LLAssetType::AT_TEXTURE, DB_INV_ITEM_NAME_STR_LEN, LLSaleInfo::DEFAULT, gAgent, LLInventoryView::getActiveInventory(), LLFilePicker::getDirname(), LLFocusMgr::getFocusCallback(), LLAgent::getID(), LLFocusMgr::getKeyboardFocus(), LLFilePicker::getNextFile(), LLInventoryView::getPanel(), LLGlobalEconomy::getPriceUpload(), LLAgent::getSessionID(), gFocusMgr, gGlobalEconomy, gInventory, gMessageSystem, LLInventoryItem::II_FLAGS_NONE, LLPermissions::init(), LLPermissions::initMasks(), LLFilePicker::instance(), LLInventoryType::IT_NONE, lldebugs, llendl, llformat(), llinfos, llmin(), llwarns, LLInventoryType::lookup(), LLAssetType::lookup(), LLUploadDialog::modalUploadFinished(), LLAssetUploadResponder::mPostData, LLMessageSystem::newMessageFast(), LLMessageSystem::nextBlockFast(), LLInventoryModel::notifyObservers(), LLUUID::null, LLInventoryPanel::openSelected(), PERM_ALL, PERM_MOVE, PERM_NONE, PERM_TRANSFER, LLStringBase< char >::replaceChar(), LLStringBase< char >::replaceNonstandardASCII(), S32, LLAgent::sendReliableMessage(), LLFocusMgr::setKeyboardFocus(), LLInventoryPanel::setSelection(), LLNotifyBox::showXml(), LLStringBase< char >::stripNonprintable(), TAKE_FOCUS_NO, time_corrected(), LLStringBase< char >::trim(), LLInventoryModel::updateItem(), and upload_new_resource().